What can the home of cuckoo clocks, chocolate and jazz festivals teach us about wine? Quite a lot actually, as long as you are registered and currently attending the Digital Wine Communications Conference in Montreux. 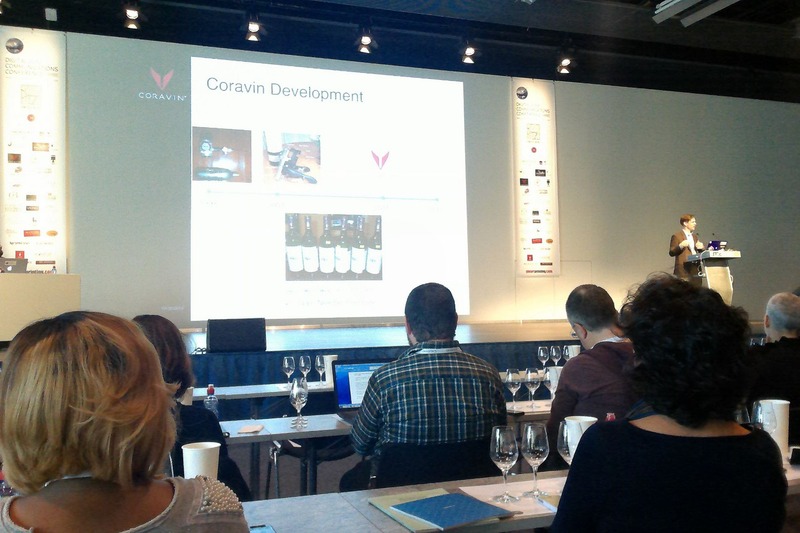 Currently Greg Lambrecht, founder of Coravin, is reminding everyone that the wine industry is a business. There needs to be an unmet need for new inventions. Greg’s story started in the world of medicine which gave him a different take on wine. His entrepreneurial drive got him through tough events and he did it by focussing on the customer. Coravin is now a very successful company and a pretty natty device. In a mid budget hotel in central Manchester, the CEO of a small software company took the stage to address his staff. It was the day after his 50th birthday, business was going well, but a plot had been hatched. There were no traitors at the gate on this occasion. We are not Nabisco. 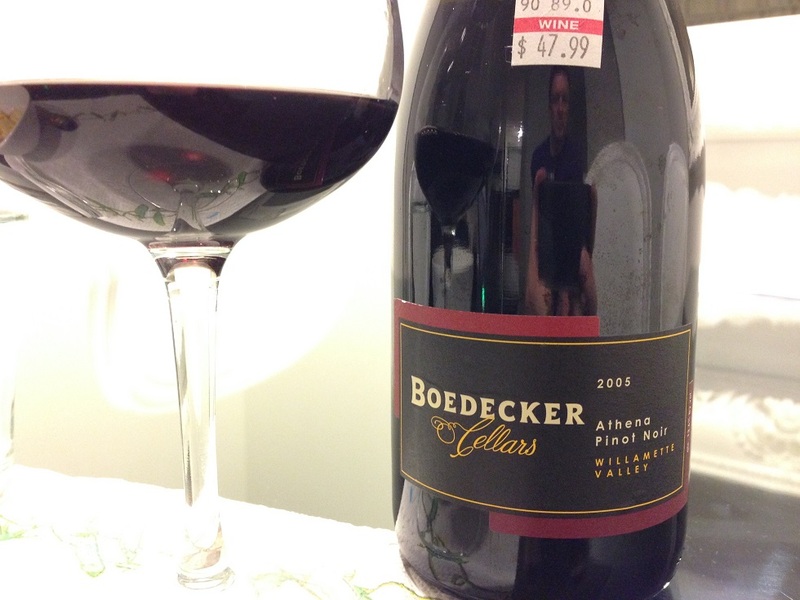 Merely the pleasant surprise of a presentation of a birthday gift, a certain, and very generous, bottle of wine. I told the guy in Latitude, Leeds, that I love white Bordeaux, and had a party coming up, but I didn’t want to break the bank and spoil the neighbours. 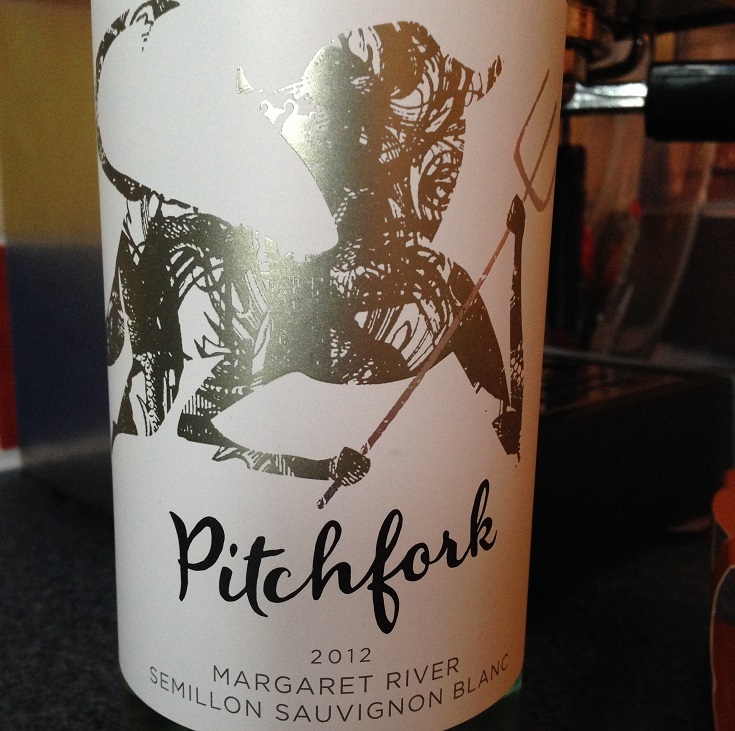 He recommended this Semillon Sauvignon Blanc from Margaret River, Australia. It’s crisp, yet smooth, rich and creamy, like an apple tart with custard and a dribble of honey. 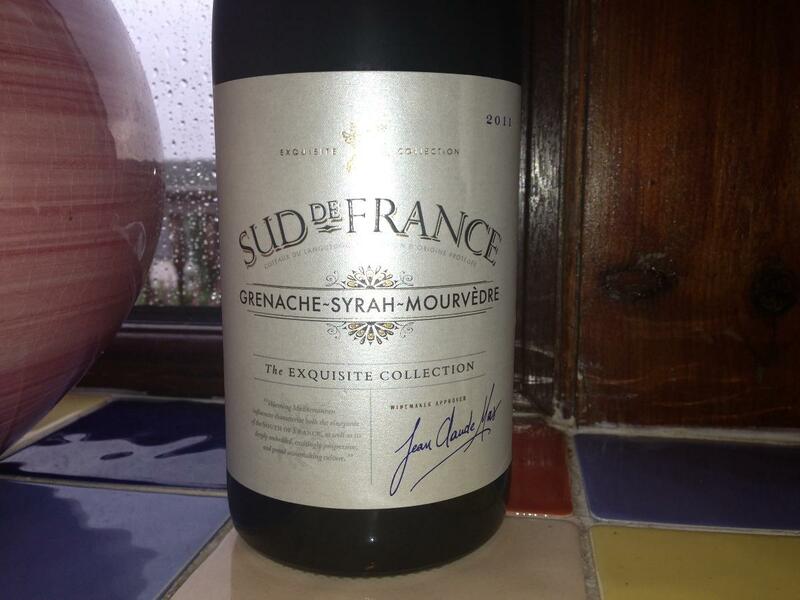 Latitude sold me this for £11.25 and, for that dosh, it beats most Bordeaux I’ve tried at the price point. Highly recommended. Remember WART rules and serve at the temperature of an oaked Chardonnay – about 10-12ºC (at least half an hour out of the fridge). And for any of my lovely neighbours reading this, I was only joking. I’ve just received a shipment of Echo Falls for you. I’ll be keeping the Pitchfork for myself. New World Pinot Noir is never going to age like a Burgundy. 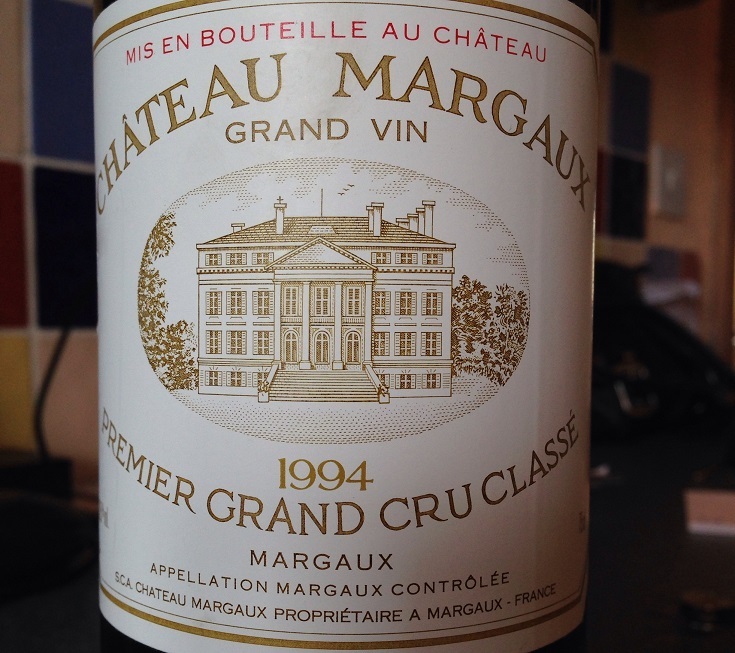 If this bottle is anything to judge by, some are more likely to age like a Médoc. Witness the tawny Cabernet glow, the rich vanilla flavours, and the dark fruits from a wine that sounds more like a middle distance runner’s dog. No evidence of any barnyard or chicken run. Nor anything thin. But if you want a full flavoured fruity Pinot that sits between Burgundy and New Zealand (depending on how you circumnavigate the globe), nip down to Epicure on Alton Road, South Beach and they will be delighted to lighten your wallet to the tune of five $10 bills. There must be somewhere cheaper to buy it – can you help? The best recommendations for a wine do not come from journos, PR samples or special offers. For me, they come from genuine wine enthusiasts who trouble their pockets to retrieve a cherished bottle from their cellar to share with you. Either in person or in absentia. This bottle was given to be at a board meeting by one of my colleagues who has travelled extensively around South America and hearing my mild enthusiasm for Chilean Carmenère, passed a Cuvée Alexandre into my dirty paws one rainy Tuesday morning in Newton le Willows. This grape, widely planted in Chile but d’origine Bordeaux often reminds me of real wood fires on cold winter days. Rich and herby, yet smooth and oaky, this example is full on, but refined and very moreish, albeit bound to give me a headache in the morning. I daren’t look up the price, because the quid pro quo is that I need to return the favour. 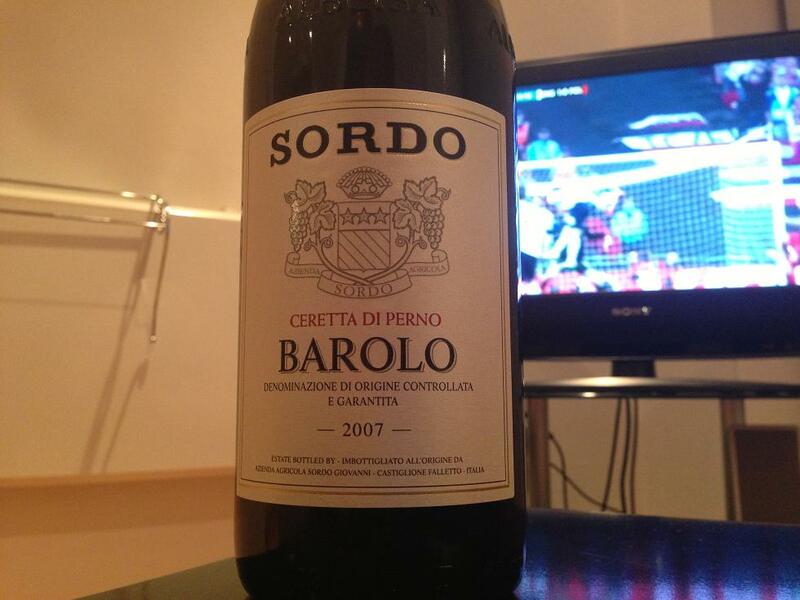 But, knowing Chris, this is not a cheapy £5 bottle of wine. I think I’ll be reaching into my Eurocave for a decent Bordeaux or Argie blockbuster, maybe not quite stretching to a Catena Zapata or Cheval des Andes. If you want to buy some, try your local independent. I’ve written many times of my quest to find the perfect wine to accompany beans on toast. But, what about that other saccharine Heinz staple, Tomato Soup? Everybody tells me that Italian reds are powerful, tannic and rich – like sucking a teabag that has been left in the pot overnight. So that won’t work then, will it? Well, yes actually. This wine is soft like a fresh raspberry teabag (should you wish to to commit brewed beverage bastardisation) with just a smoky hint of genuine tea (Earl Grey), and there is a slight sweetness that really brings out the flavour of the kids’ teatime favourite. And as I write, England qualify for the 2014 FIFA World Cup finals! Great goal by Gerrard. Let’s hope we don’t face Italy first up in the competition. 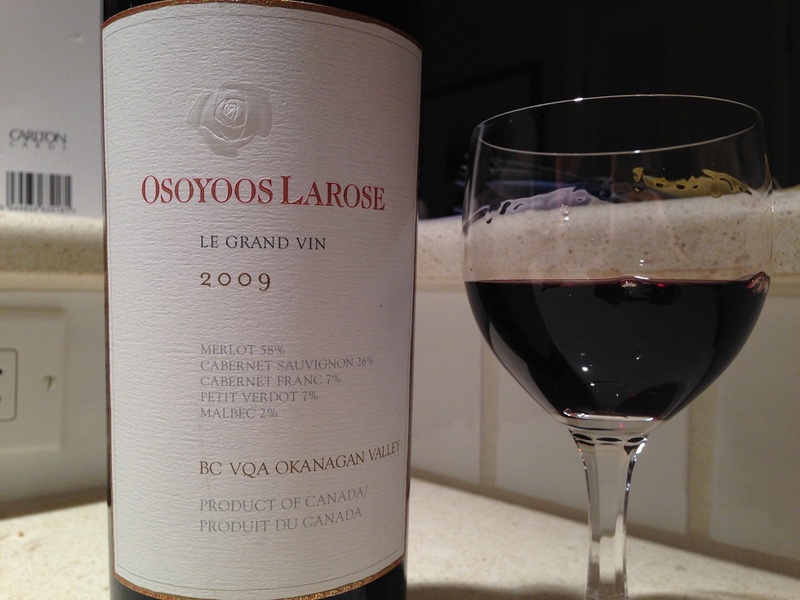 Like their wines, they are tough early on, and soften up over time. Mine cost me £32 from the Sunday Times Wine Club and the 2007 is STILL AVAILABLE. 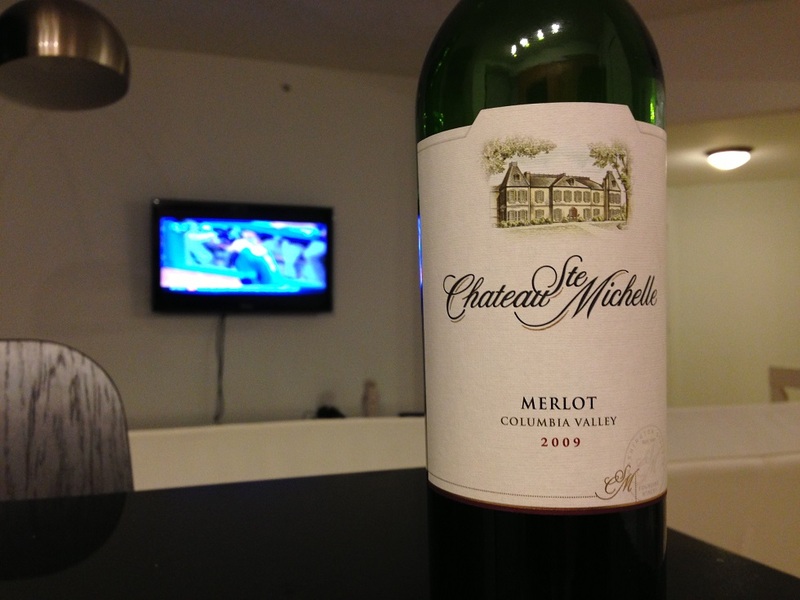 But, not cheap, so maybe better to buy the 2008 and save it to drink when England win in Brazil? There are pills to cure anything, right? Even a hangover. Remember RU21 – the pill of choice for ‘Russian secret agents’ whose main role in life is to sleep with their victim (in the biblical sense), lull them into a false sense of security, and then outsmart them in the morning by planting a tarantula in their sock and sneaking out through the toilet window? Well, there’s a new kid on the block. Dink. I was sent some to try out. The mission: get really pissed at a charity dinner in Newcastle, go to bed at 2am. Take a three hour train journey to London the next day, on which prepare a board pack and write important notes to several customers. Have several conference calls, a 16:30 meeting with an industry analyst, a beer with a colleague and get a two hour train journey home on which tidy up the day’s emails and write this article. What could possibly go wrong? Well, here I am, on the train, writing. I’ve nailed my day. I am still awake. OK, not doing star jumps or writing a thesis on Smithsonian economics. But I have survived. RU21 is good, but it’s difficult to source (in the UK at least). A heavy night will see you consume up to 10 tablets, so you better put your discreet trousers on or people will think you are doing Es. 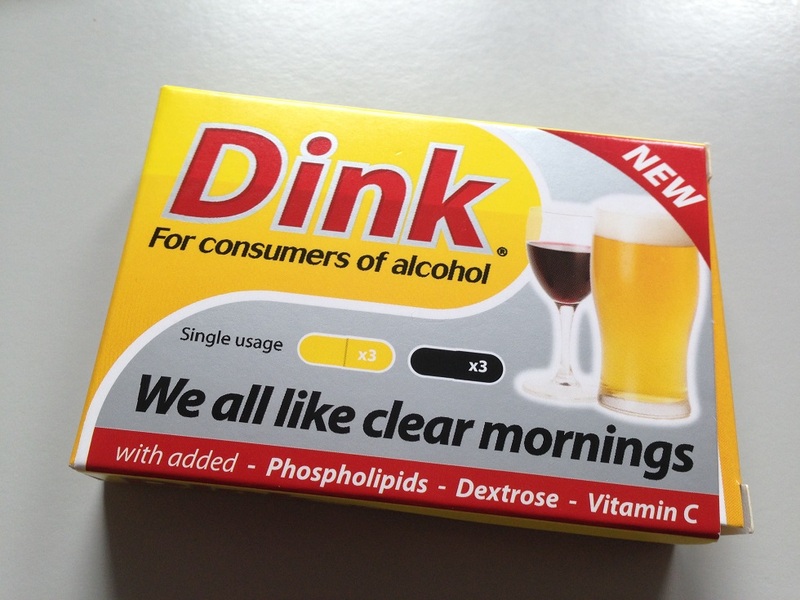 Dink does the same job and, like RU21, weighs in at about £3 per hangover. It is more discreet, though. If you’ve got a heavy night entertaining customers and you need to outsmart them in the morning, take three yellow tabs before you imbibe. Take three black ones at the end of the night. Get through your next day much better than you would have. Be aware that chickens come home to roost. You will need plenty of sleep on night two. Grenache, Syrah, Mourvèdre. Classic French grapes. And an oenological warning of an eye-watering punch in the greenback gonads, delivered by a fancy named winemaker, and quadrupled after the addition of a central London restaurant markup using the name of some international chef. So, what chance value? Supermarkets, perhaps? I’ve had warm experiences with Tesco and Asda and certain wines of theirs that seemed to open their legs way wider than their pecuniary groin muscles would permit. But Tesco and Asda are veritably upmarket compared to German imposters like Aldi. Surely no hopers? 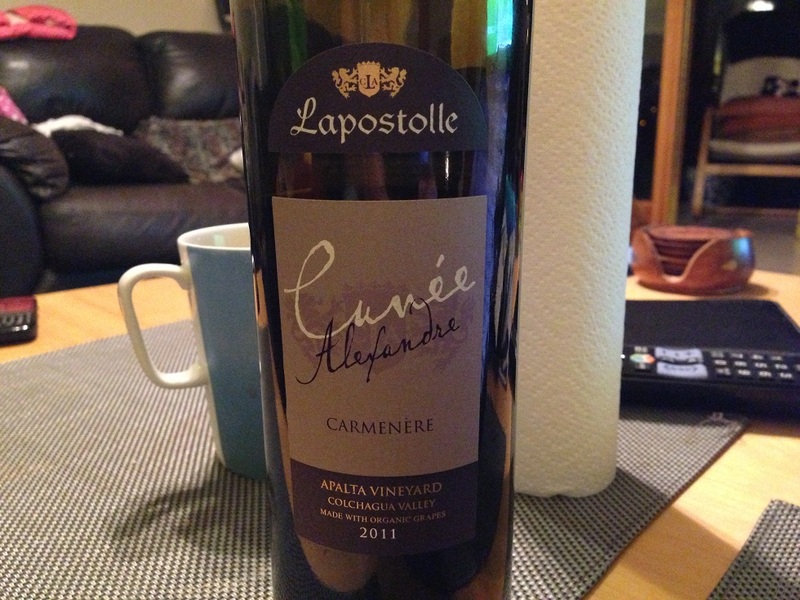 Well, this one tastes tannic, rich, spicy and fruity like a Southern Rhone. Stewed apple and black currant. Tastes slightly green – I doubt it is full of stalks but you know what I mean. You can’t really hand harvest grapes and sell a wine for £5.99, albeit on a “summer special”. So if you want to drink Hermitage La Chapelle on your wedding anniversary, good luck to your wallet. If you want something cheap and cheerful for a Monday evening meal, Aldi is one of the growing number of UK supermarkets who can offer your bank manager redemption. Drink cool. It gets a bit jammy once it’s above 20°C. But do drink it.